Travelers Rest, South Carolina - Furman University along with Alpha Phi Alpha Greenville Foundation is sponsoring An Evening with Clarence B. Jones, Speechwriter for Dr. King, at Furman University's Melvin & Dollie Younts Conference Center on January 27th at 7 PM with a Reception & Book signing from 8 PM to 9 PM. Mr. Jones will speak on Dr. King's Legacy for the 21st Century. 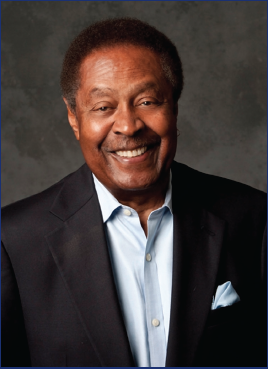 As a former personal counsel, advisor, draft speech writer and close friend of Dr. King, Clarence Jones is a scholar in Residence at the Martin Luther King, Jr. Institute at Stanford University. His Books “What Would Martin Say?” and "Behind the Dream: The Making of the Speech that Transformed a Nation” give an insightful view to the Dr. King of the past with the Events of today. In 1962, Martin Luther King wrote a letter recommending his lawyer and advisor, Clarence B. Jones, to the New York State Bar, stating: “Ever since I have known Mr. Jones, I have always seen him as a man of sound judgment, deep insights, and great dedication. I am also convinced that he is a man of great integrity”. The event is free admission and open to the public. Please join us for enlighting evening as we continue to celebrate the life and legecy of Dr. King. The speech and reception is an annual part of a series of events sponsored by Furman University and Alpha Phi Alpha Greenville Foundation. Gamma Gamma Lambda Chapter is a Foundation sponsor and founded many of the Foundation's programs over thirty-five years ago, including the MLK Scholarship Gala, MLK Youth Program, and Gordon College Fair.